Welcome to Day #7 of Chocolate and Starches Theme Week. 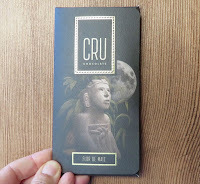 Today's attractively packaged Flor de Maiz (bar) was created by Cru Chocolate (Roseville, CA). 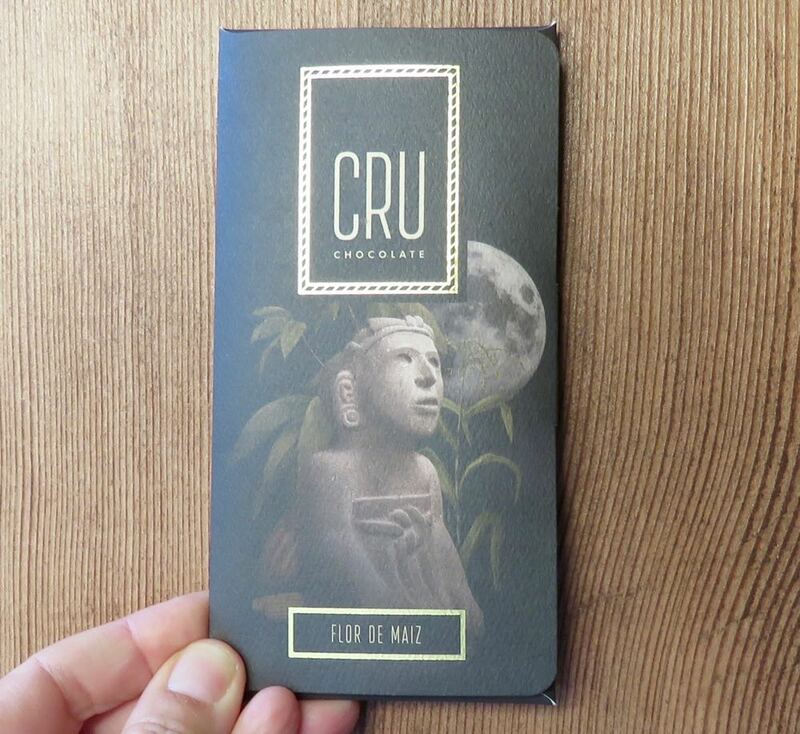 The bar capitalized on the long cultural and culinary history of maize (corn) and cacao in the Americas. 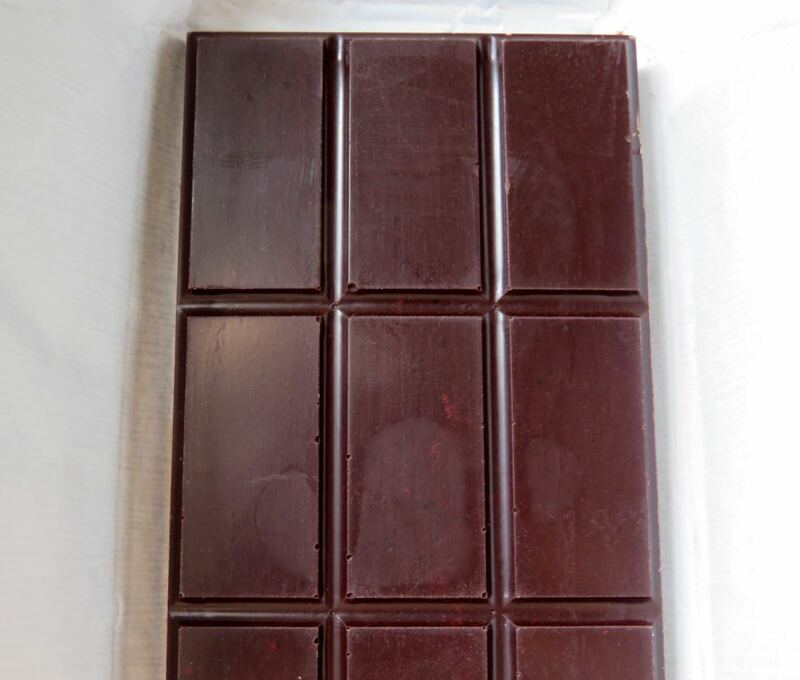 The bar was a fusion of Nicaraguan cacao and heirloom roasted and stone ground corn (seasoned with a tiny pinch of spices). This dark chocolate blend was inspired by pinole, a traditional corn and cacao beverage from Central America.